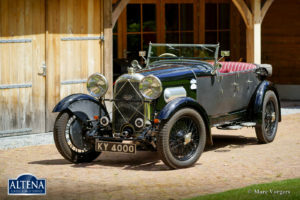 Lagonda 3 ½ Litre T-Type Tourer, year 1933. 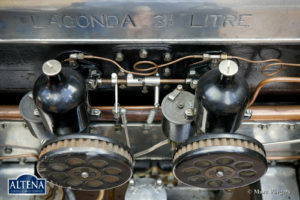 Chassis number Z1022X. Colour black with a burgundy leather interior and burgundy carpet to match. 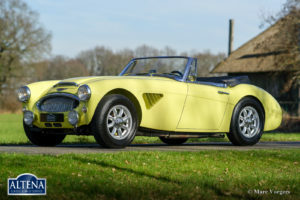 Black canvas hood and hood cover. 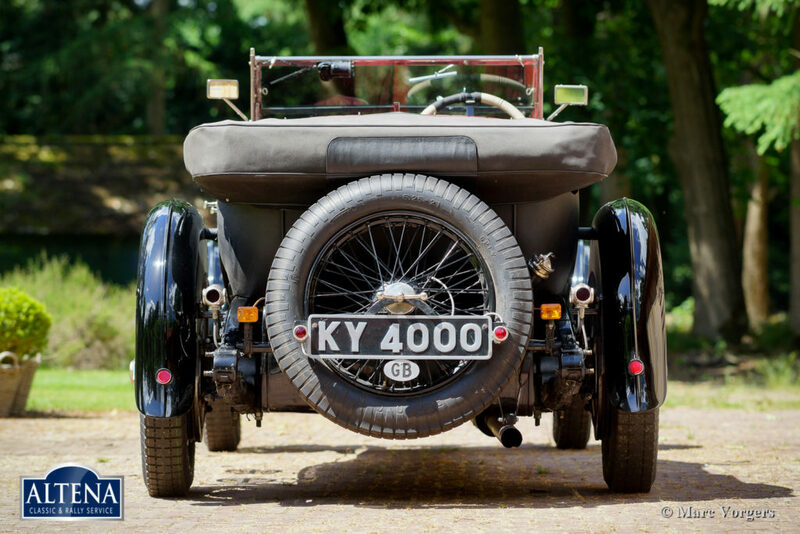 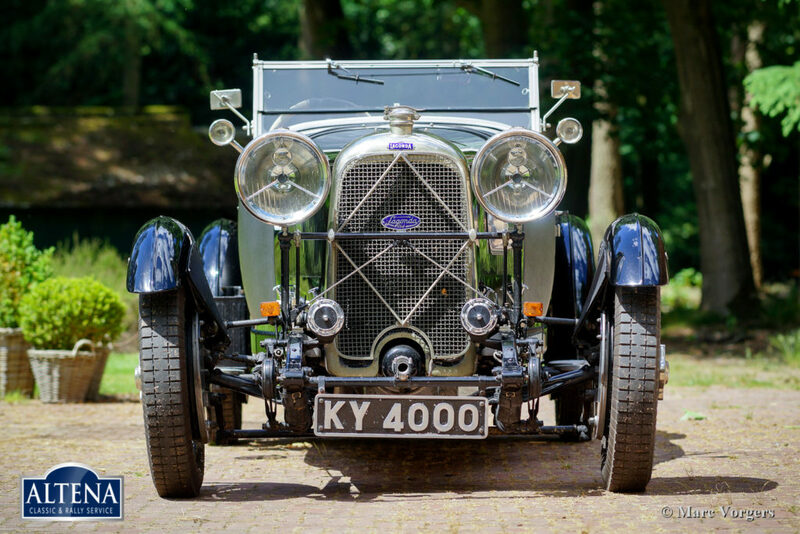 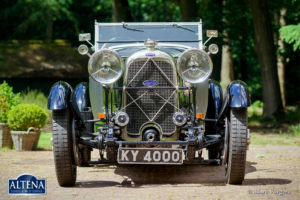 This magnificent Lagonda started life as a 3-Litre saloon. 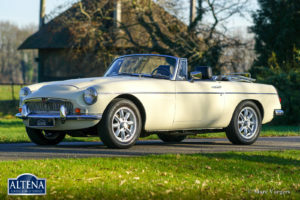 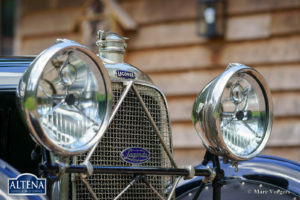 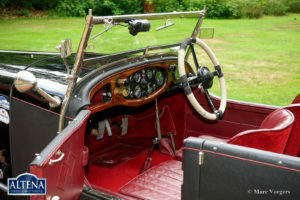 In the years 1997 – 1999 the automobile was fully restored to the highest standards by a marque specialist. 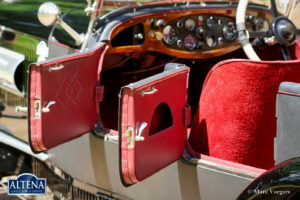 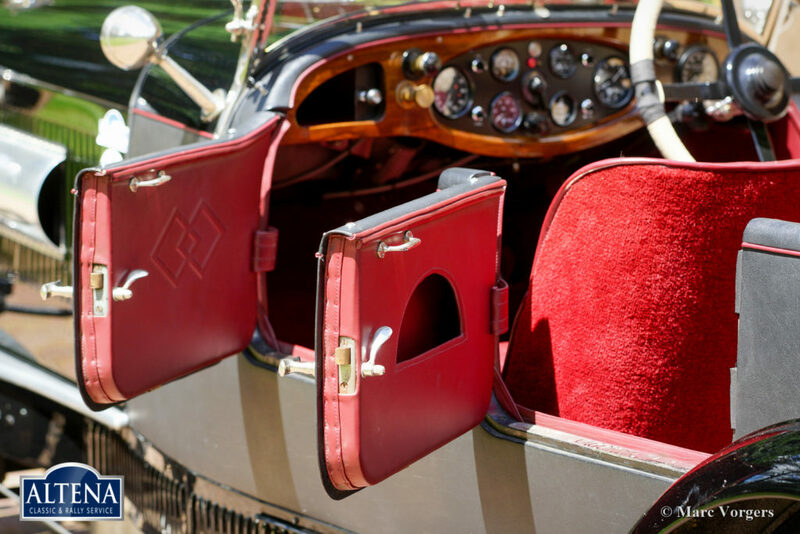 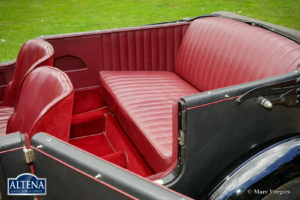 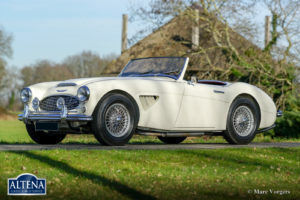 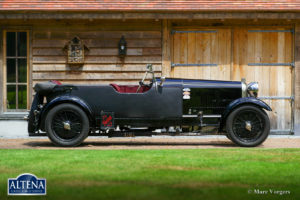 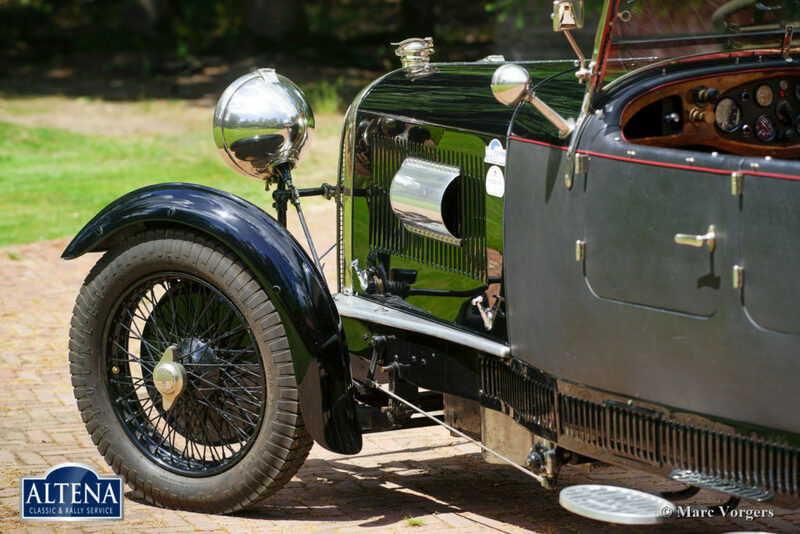 The saloon body was replaced by a stunning fabric covered Lagonda T-Type Tourer bodywork and helmet style mudguards were added. 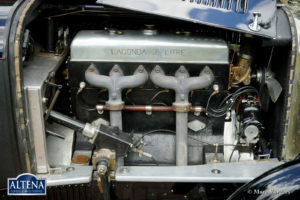 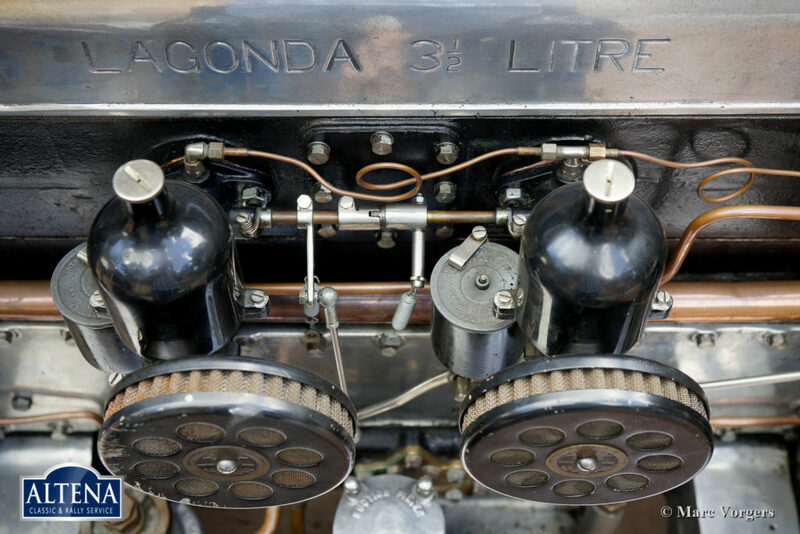 Also, a more powerful and fully overhauled 3 ½ Litre Lagonda engine was fitted. 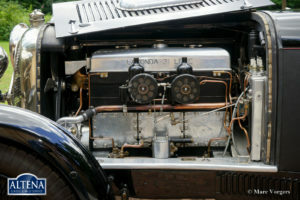 This engine is almost identical in appearance to its 3-Litre predecessor. 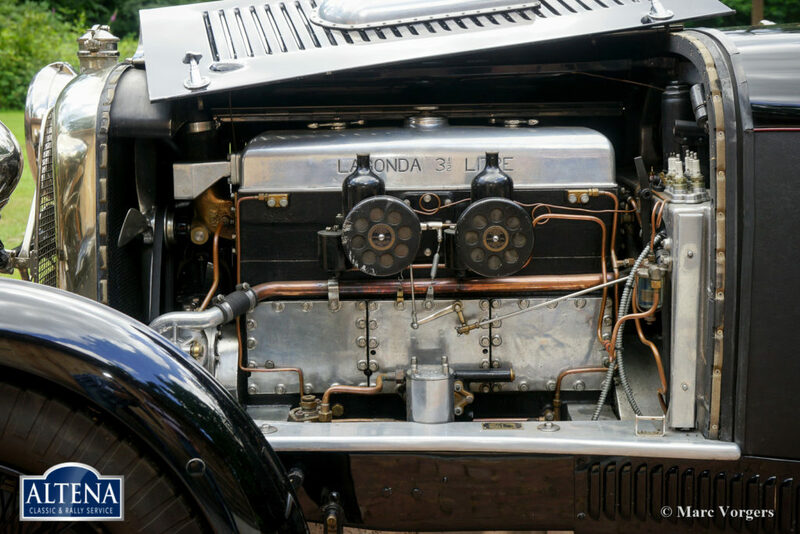 This 1935 engine with engine number 35Z183X is the last one ever built and known to the Lagonda club, only 83 units of this engine were built. 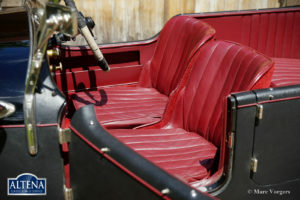 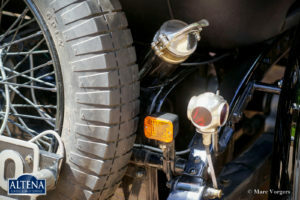 This fine pre-war automobile is in excellent condition throughout and the car drives delightfully. 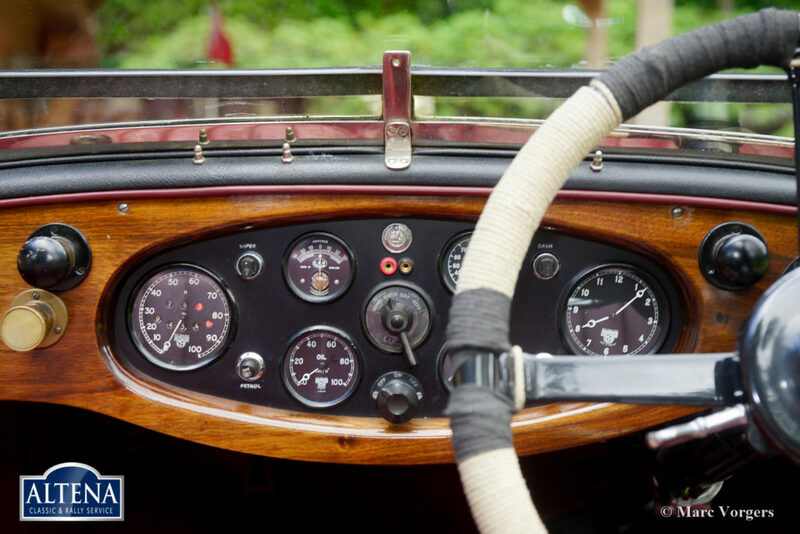 The car shows magnificent details and the fully equipped wood dashboard is stunning to look at. 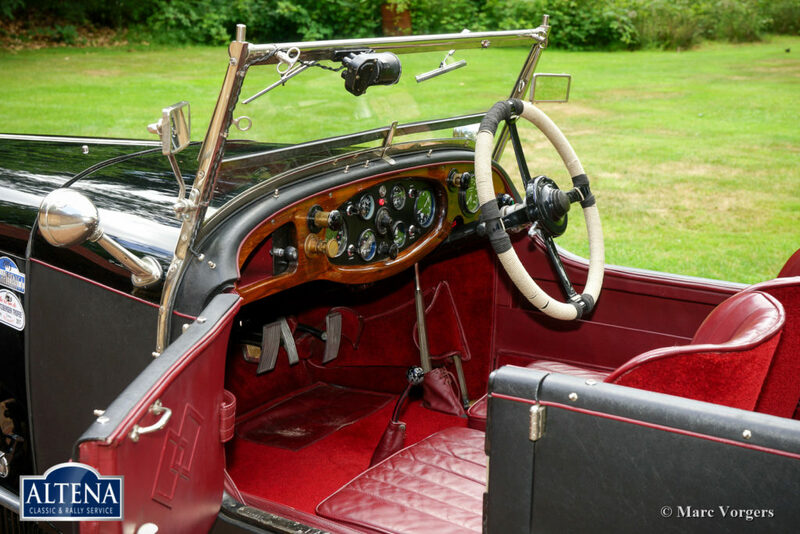 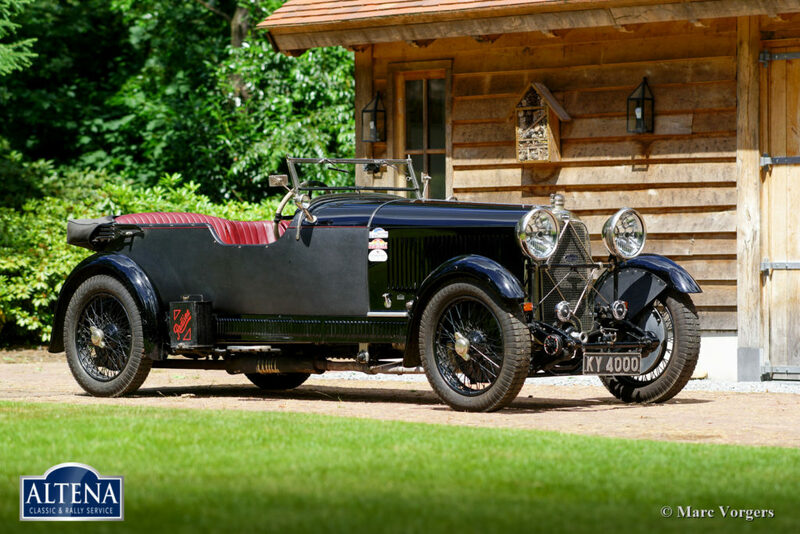 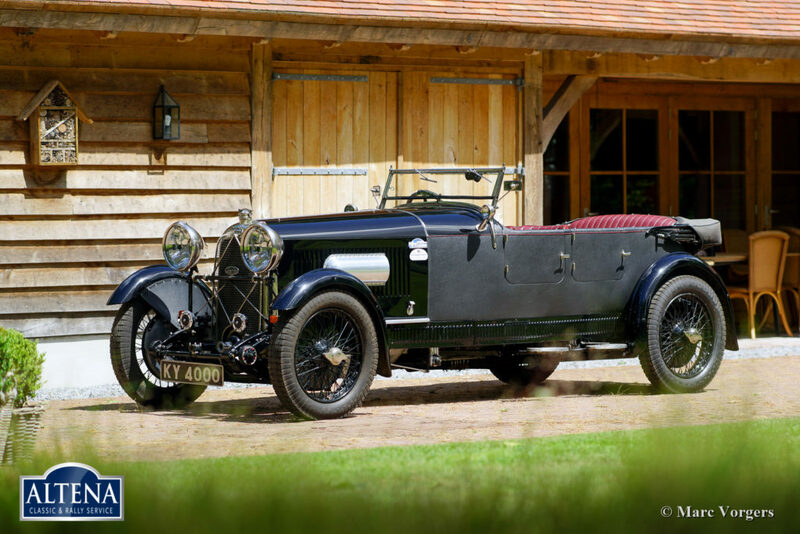 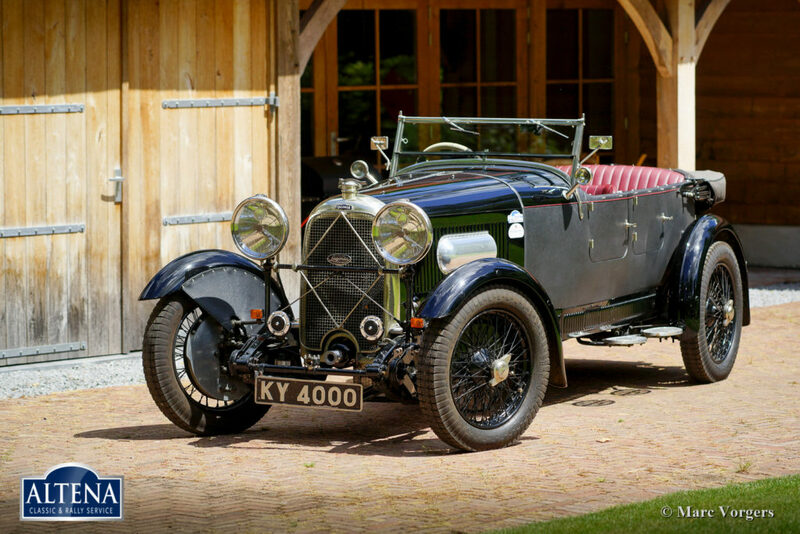 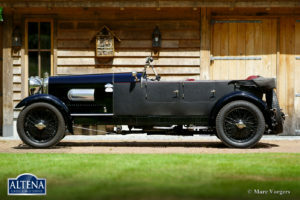 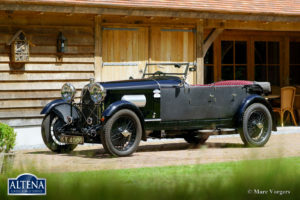 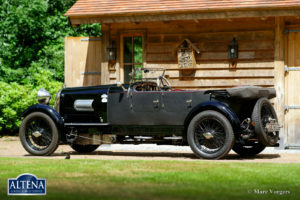 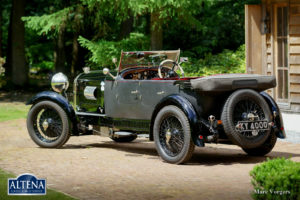 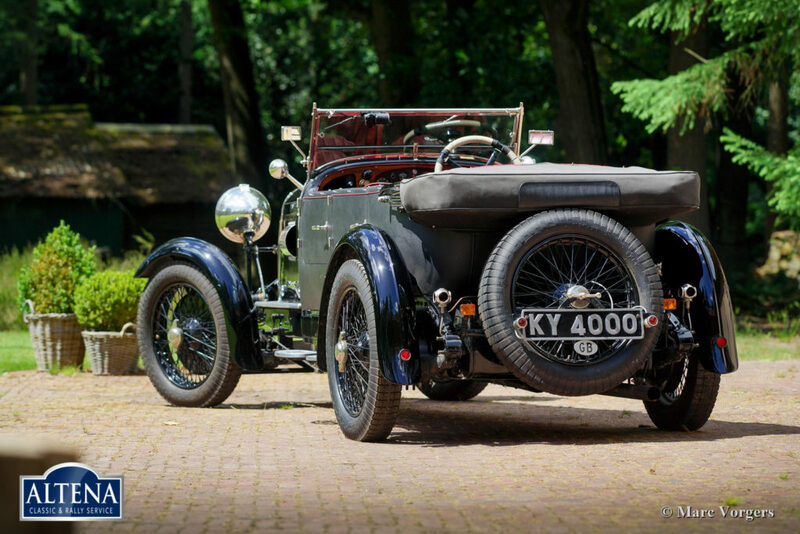 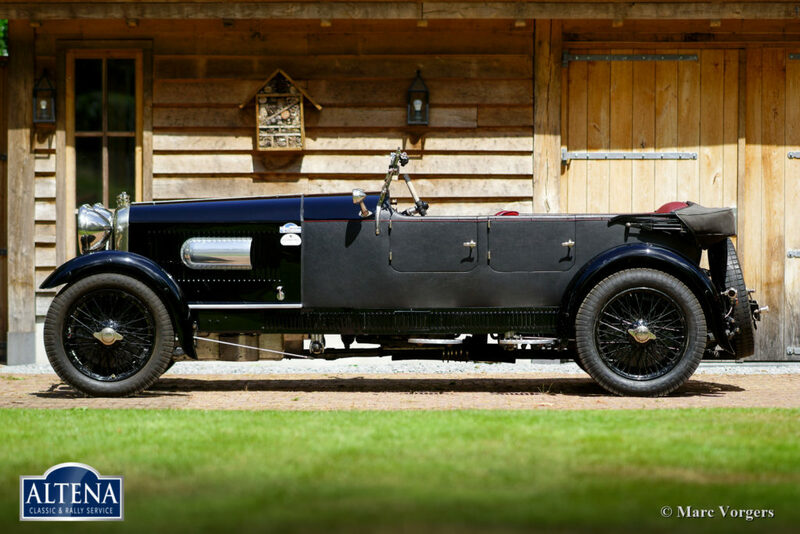 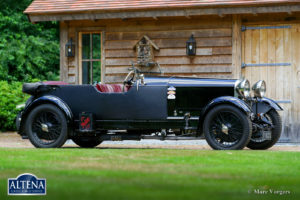 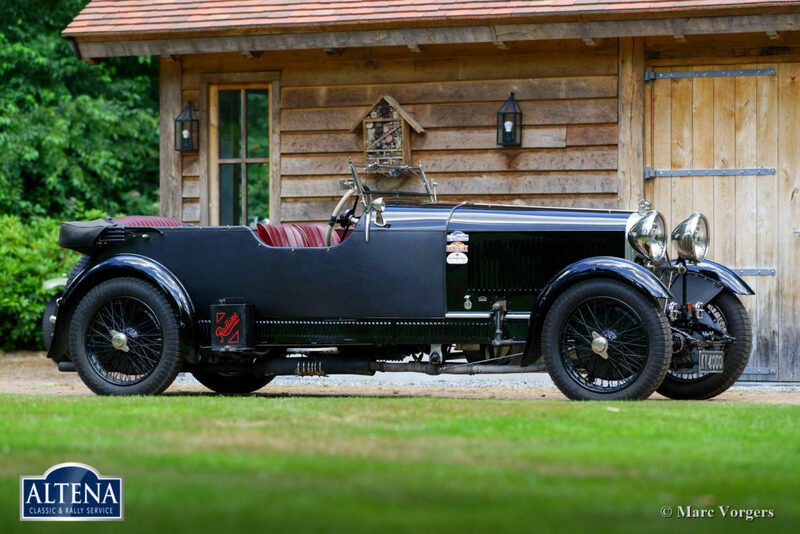 This is a rare and highly desirable Lagonda!